carefully created to exacting specifications. Enhancing the quality and life of your family pet is important to you. We understand the importance of great quality food therefore we use special ingredients along with the proper balance of vitamins, minerals, and nutrients designed to help your pet live a long, happy and healthy life. We have chosen our ingredients carefully with your pet in mind - we've placed no limitations on the quality of the ingredients because we think your pet deserves the very best - Genesis! 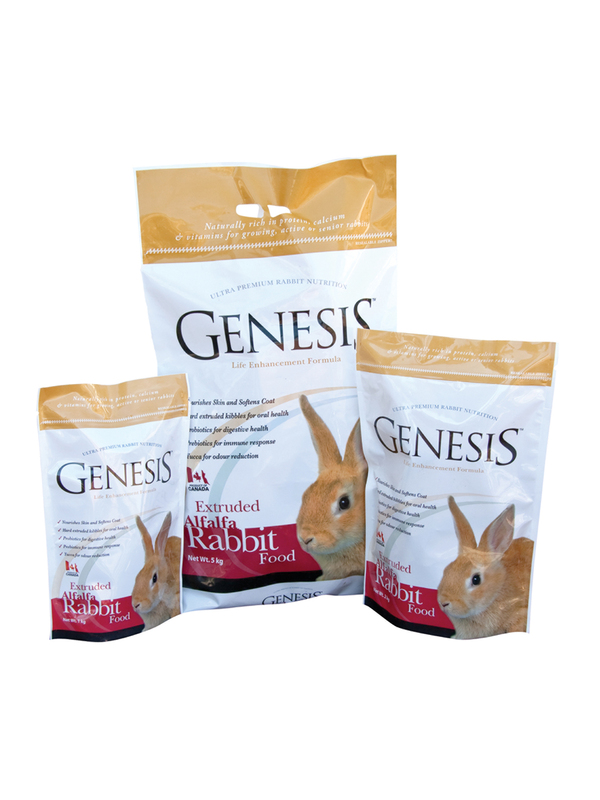 Your pet will love the delicious taste of Genesis - you will love the results you see in your pet's coat, eyes, footpads and overall physical and mental condition. You be the judge! Ultra Premium Genesis, along with fresh water, and of course your devoted love and attention, is an excellent choice for the life of your pet.